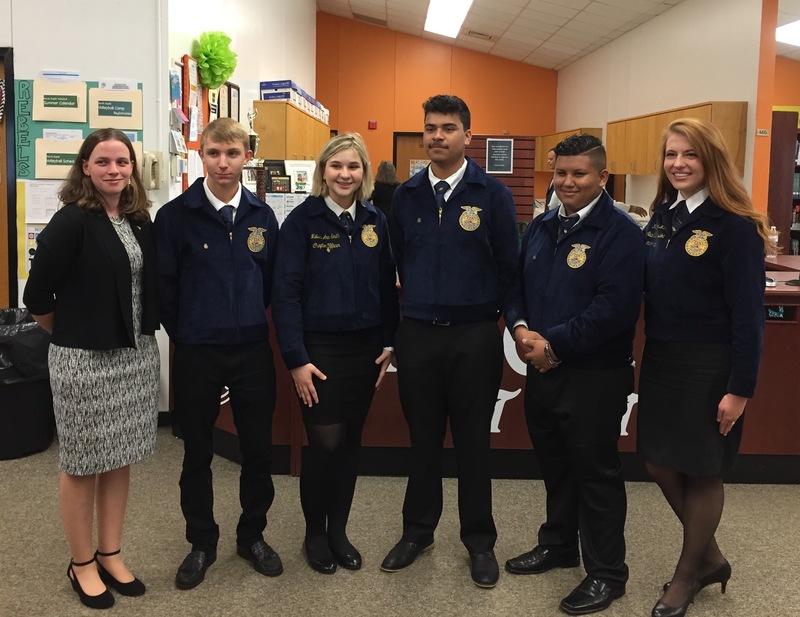 FFA State Vice President, Madeline Wilhelm speaking about the growth of agriculture in Duplin County. Round table of community leaders discussing about the importance of our children’s health and the challenges of access, affordability & regulation. 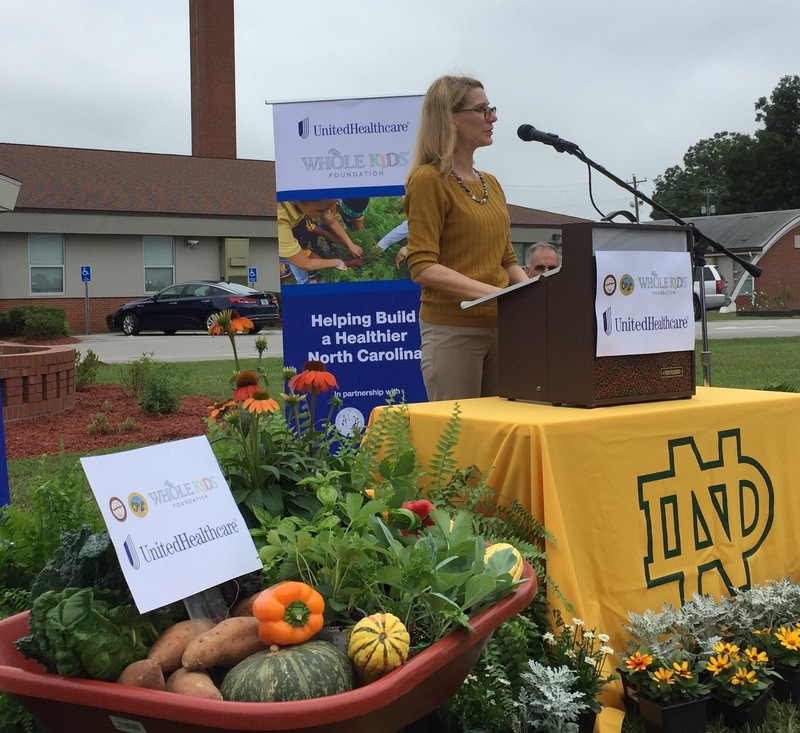 RALEIGH, N.C., September 25, 2017 - First lady of North Carolina Kristin Cooper joined United Health Foundation and Whole Kids Foundation today to award 22 grants totaling $44,000 to schools and YMCAs statewide. Cooper, UnitedHealthcare of North Carolina Medical Director Dr. Robert Waterhouse, Whole Kids Foundation President and Executive Director Nona Evans, School Principal Brockton Ahrens, and other education and health care leaders hosted a roundtable about health care challenges facing their communities at North Duplin Junior Senior High School in Raleigh, one of the grant recipients. 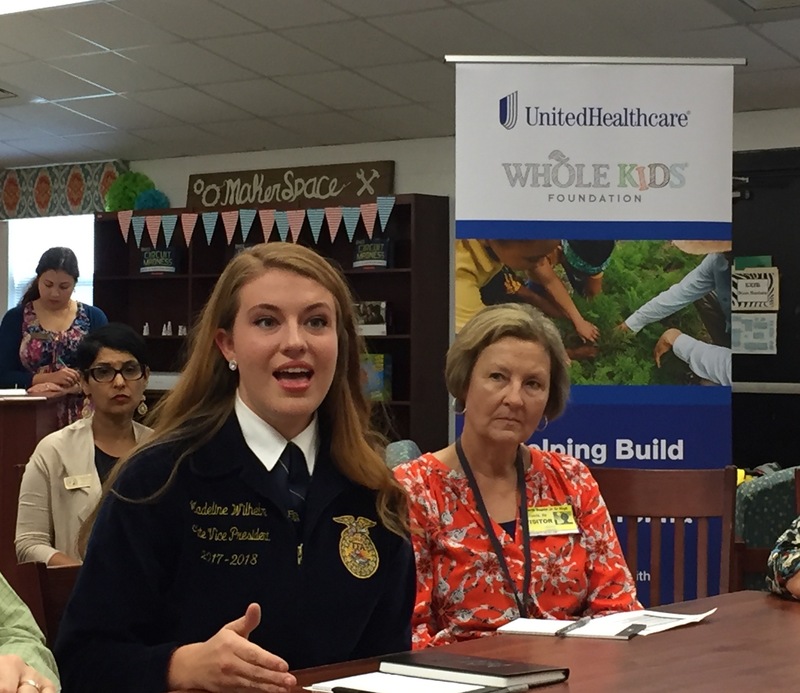 A ground-breaking ceremony for the school’s new garden, which will be maintained by its FFA organization, preceded the discussion. 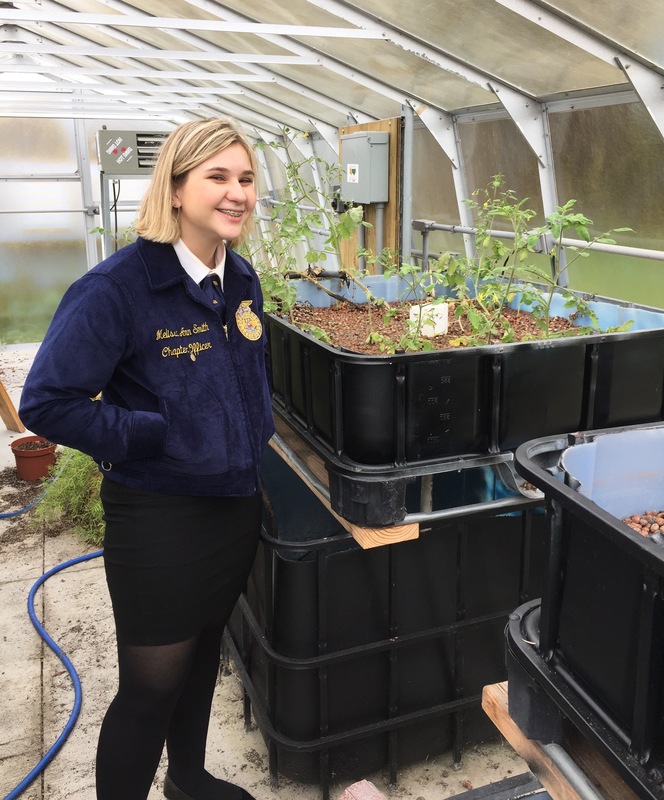 Studies show school gardening, combined with a healthy lunch program or nutrition education, encourages healthier food choices, and children are more likely to eat fruits and vegetables they have grown themselves. 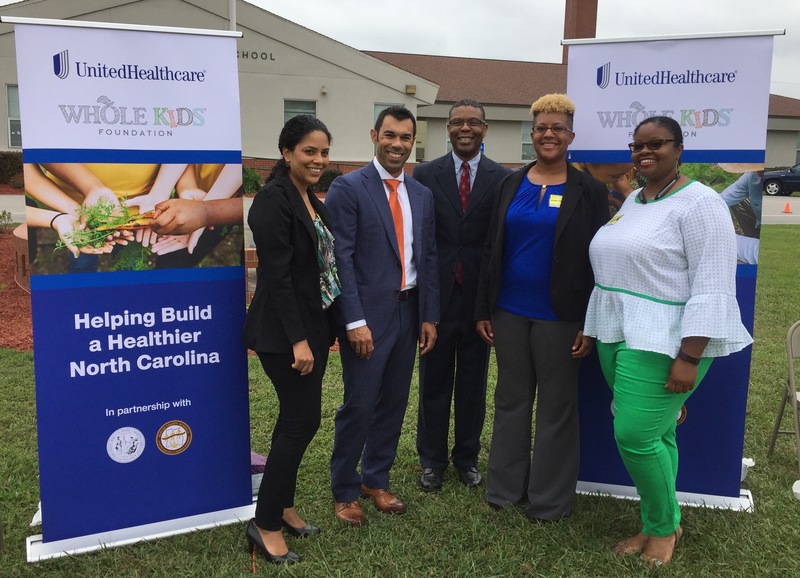 Through collaboration with community partners, grants and outreach efforts, United Health Foundation works to improve our health system, build a diverse and dynamic health workforce and enhance the well-being of local communities. United Health Foundation was established by UnitedHealth Group (NYSE: UNH) in 1999 as a not-for-profit, private foundation dedicated to improving health and health care. To date, United Health Foundation has committed nearly $358 million to programs and communities around the world. We invite you to learn more at www.unitedhealthgroup.com/SocialResponsibility.